Anthony C. Modarelli III, licensed to practice law in California and Nevada, is a trial attorney with the firm, litigating personal injury and business matters in both states. Anthony C. Modarelli III, licensed to practice law in California and Nevada, is a trial attorney with the firm, litigating personal injury and business matters in both states. Prior to joining the firm, Anthony co-founded and managed his own law firm with offices in Sacramento, Orange County, and Las Vegas. In 2018, Anthony joined DiMarco | Araujo | Montevideo, helping to continue the growth of the firm’s reputation for success in California and now, Nevada. The value of hard work and grit was learned by Anthony at a young age in his hometown of Youngstown, Ohio. These values have been the foundation of Anthony’s life and career, which has evolved from graduating from Villanova University, to earning his law degree at Chapman University, to advocating for his clients throughout California and Nevada. His practice focuses on protecting the rights of the injured, and he relentlessly works to achieve justice for those who have lost some aspect of their life because of the carelessness of others. Anthony has achieved success for his clients in and out of the courtroom with compassion and resolve, by standing against injustice. Anthony’s leadership and litigation skills are recognized by his clients and others in the community. For 2017 and 2018, Anthony was named to the “Top 40 Under 40” by the National Trial Lawyers for his work as a civil plaintiff’s attorney. In addition, he was honored by fellow trial attorneys with the Orange County Chapter of the American Board of Trial Advocates (“ABOTA”) as a rising new Trial Lawyer. 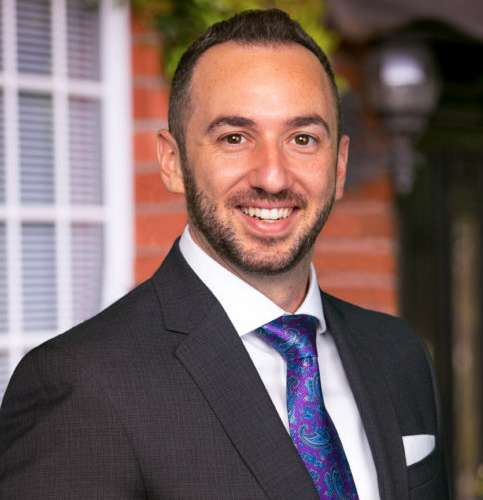 Anthony sits on the Board of Directors of the National Italian American Bar Association, is the Vice President of the Italian American Lawyers of Orange County, and serves as an officer on the Associate Board for Project Youth OCBF. He also is a member of the Consumer Attorneys of California, Nevada Justice Association, Orange County Trial Lawyers Association, and Orange County Bar Association. Married to a fellow Villanova graduate, Anthony and his wife are Co-Presidents of the Villanova Club of Orange County. Their time outside of work is focused on raising their son, and the family enjoys traveling to try new and exciting restaurants in California and Nevada.